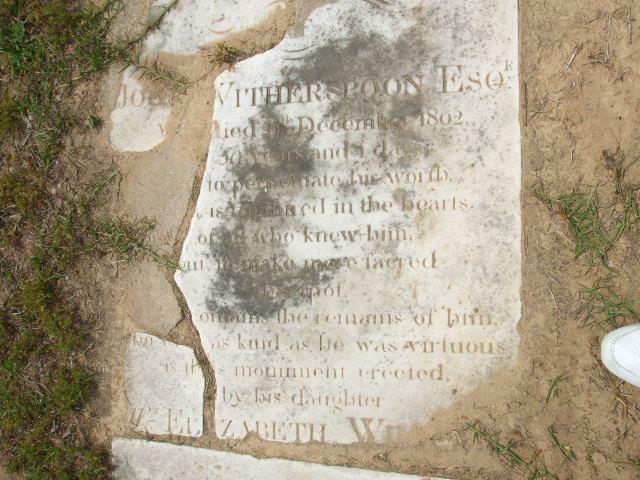 Grave of John Witherspoon (1742-1802), located at the old Aimwell Presbyterian Church burial grounds, Old River Road at McWhite Road. John took control of Witherspoon's Ferry (now Venters Landing at Johnsonville) after his older brother Robert Witherspoon died with no issue in 1787. Witherspoon's Ferry had already been in use during the Revolution, and this spot served as the backdrop for General Francis Marion's commission to lead the militia. 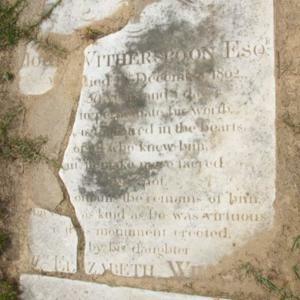 John and Robert were both sons of Gavin Witherspoon and Jane James, who came from Knockbracken, Ireland to Williamsburg. 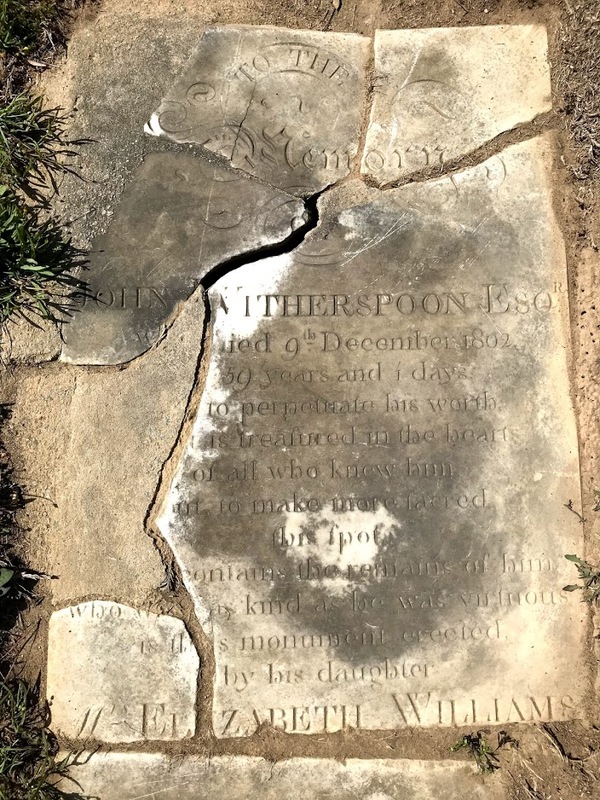 John was a patriot during the American Revolution, serving as a private with Marion's Brigade in the Britton's Neck Regiment for 244 days in 1780 and 1781. In 1801 it was ordered that a Ferry should be re-established and vested in John's care. John married Mary Conn and had one child, Elizabeth, who later married David Rogerson Williams, Governor of South Carolina from 1814-1816. "It is my will and desire that the trustees aforesaid or their successors shall give William Johnson the present use of the lands aforesaid the exclusive privilege of leasing the lands aforesaid for a term of 12 years provided the said William Johnson on the wisdom of the said trustees aforesaid shall conduct himself with propriety." It was John Witherspoon who vested the ferry lands in William Johnson, who later established the post office at Johnsonville which became the town we know today. 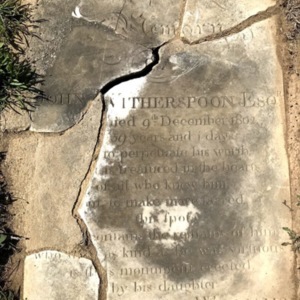 “Grave of John Witherspoon,” Johnsonville SC History, accessed April 23, 2019, https://www.johnsonvilleschistory.org/items/show/361.